With the development of e-commerce, online shopping for agricultural products has been more popular. And how to improve consumer's satisfaction has become more important. Literature review shows that few researches on online purchasing agricultural food focus on the consumers' satisfaction. This article designs a questionnaire, including 20 factors based on agricultural product characteristics, website quality and service quality to evaluate consumers' satisfaction. The evaluation shows that service quality, agricultural products' safety, brand and website quality significantly impact consumer satisfaction. Moreover, service quality is the most important factor. Finally, some recommendations are made in this article to develop cold chain logistics system, strictly control the agricultural products quality, build an agricultural products brand, improve the quality of agricultural product websites and strengthen policy control and guidance. Secure and high-speed Internet has contributed to a major breakthrough for e-commerce businesses. E-commerce is changing the way of consumers’ shopping. 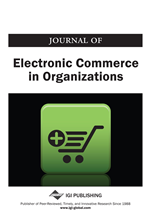 Global e-commerce transactions increased from $1.2 billion in 1994 to$300 billion in 2000; only 6 year later, the figure went up to $12.8 trillion in 2006, accounting for 18% of global merchandises transactions. And in 2015, global E-commerce sales reached $22.1 trillion according to UNCTAD (United Nations Conference on Trade and Development). And eMarketer predicted that global online retail sales expected to reach $27 trillion in 2020. China is the biggest market of business-to -consumer (B2C). In 2015the B2C revenue reached $623 billion. The number of online stores in China also ranks first in the world. The 38th China Internet Development Statistical Report showed that as of June 2016, Chinese Internet users reached 710 million and Internet penetration rate was 51.7%. Moreover, internet users with online shopping experience reached more than 447 million, 63.1% of the total internet users. And huge Internet users provide the foundation for Chinese e-commerce development. According to the Electronic Commerce Department of Ministry of Commerce, in 2014 China’s e-commerce transaction was about 13trillion yuan, rising 25% year after year. Companies are increasingly aware of that e-commerce is more important distribution channel where companies need to be present. After books, cloths and 3c (computer, communication and consumer electronics), agriculture e-commerce has become the 4th commercial revolution. In 2015, agriculture e-commerce platform reached more than 4000, and online retail sales of agricultural products exceeded 100billion yuan. The comprehensive e-commerce platform such as JD.com, Tmall.com, Dangdang.com etc. have paid more attention to agriculture e-commerce. Besides, more professional agricultural products e-commerce companies includingFruitday.com, Benlai.com and SFbest.com have gained mushroom growth. Agriculture e-commerce has created new opportunities for companies and consumers in China. Compared with other commodities, agricultural products are seriously affected by seasons and geography. Therefore, it is more difficult to operate agricultural products e-commerce, which requires more safe and convenient logistics service especially. Agricultural products especially fresh agricultural products such as vegetables, fruit, flowers and plants are easily rotten, low level of standardization and high transaction costs. Internet consumers require more in products quality, distribution services and other aspects. Therefore, consumers’ experience is more important for agricultural products e-commerce. And poor experience easily reduces consumers’ confidence in online shopping of fresh agricultural products. From the companies’ point of view, it is necessary to understand customers’ experience especially customers’ satisfaction, which directly affects the healthy and fast development of e-commerce of agricultural products. Only by comprehending the factors that influence users’ decision to purchase online will companies be able to satisfy their needs. Moreover, how to enhance the users’ experience and improve consumers’ satisfaction of online shopping agricultural products is also an essential issue for agricultural product e-commerce. Our research will focus on the agricultural products e-commerce and aim at analyzing customers’ satisfaction of online purchase.